Not all office workspaces are created equal — we can’t all have those luxury designer, expansive spaces. But small offices still need to deal with fluctuations in staff and changes in layout, no matter how minor. Ofon, designed by Nendo for office supply giant Kokuyo, is a component-based furniture system that is brilliant in its simplicity. Each Ofon segment or piece can be used in a variety of ways — not just in building desks and shelving units, but also in creating partitions between work areas. Its revolutionary part is the “coin joint,” which can be easily screwed and unscrewed with a coin. So now all you need to do to change the office environment is flip a coin. For more information on the entire — and extensive — line, visit the official Ofon website, which also supports online purchases. It’s summer, and we’re all enjoying the greenery, especially relaxing on the grasss, so why not let it inspire our accessories? 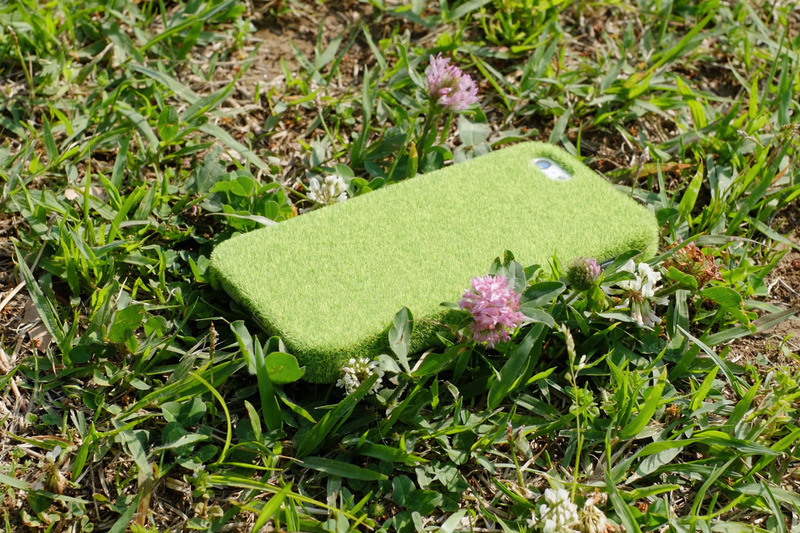 The Shibaful iPhone case looks like it’s covered in AstroTurf — but this is not just any old synthetic grass. Using electrostatic flocking — a technique that reorientates fibers upright onto a surface — it’s been made to the color and texture of the lawn found in one of Tokyo’s top parks: Yoyogi. Available for the iPhone 5, it costs ¥3,980 and can be purchased online from various stores, including Generate Design. Plans are also in the works to create cases that are based on parks from around the world, so the grass won’t always be greener elsewhere anymore. If artificial greenery doesn’t do it for you, though, how about wearing the real thing? 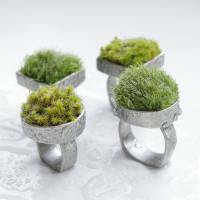 Green Friend’s The Moss Ring takes the form of a pewter ring that houses an actual piece of moss. 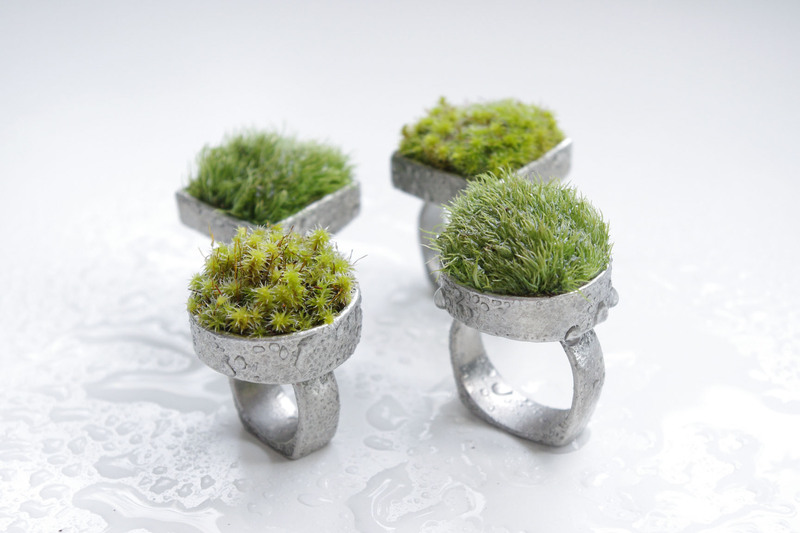 Think of it as a bonsai lawn growing on your finger. It’s definitely odd enough to be a conversation starter and, though unusual, it’s still an attractive piece of jewelry. There are two varieties of moss available, one that is grass-like (yamagoke) and one that is more, well, moss-like (sunagoke). Each ring comes with a small atomizer to help you keep it fresh, and they’re available in two shapes — circle or square. Replacement moss is also available for ¥500. 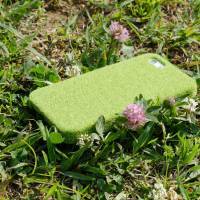 It costs ¥5,000 and can be ordered online from the Green Friend webstore. 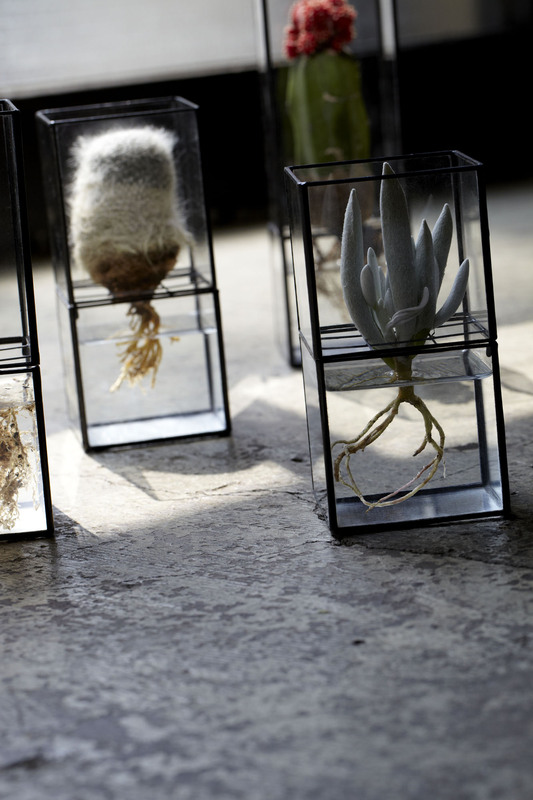 Continuing our obsession with all things green, how about a new way of displaying plants. If indoor plants are your thing, you’ll love Daisuke Tsumanuma and Kenichi Yamada’s 10¹² TERRA hydroponic collection — and if it isn’t your thing, this may convince you that it should be. 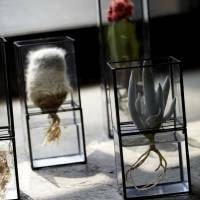 These glass terrariums are made from two base elements — a metal frame that supports the entire case and the plant, and glass panels that envelop it. Split into two halves, a cross frame in the top section is used to support the plant, leaving its roots hanging out the bottom. This then fits over the bottom half — a container filled with water. This structure makes it easy to take the plant out in order to change the water. 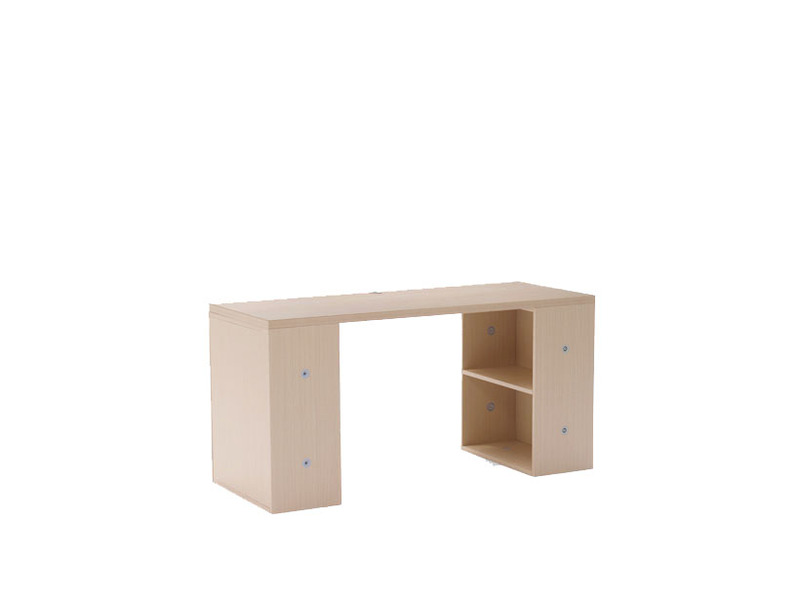 There are various sizes and models for different plants, and they can be purchased from the 10¹² TERRA online store. The store also has a range of plants to go with the containers, but these are so popular, they’ve already sold out. Once in a blue moon we break our Japan-only rule to highlight something spotted in local shops. 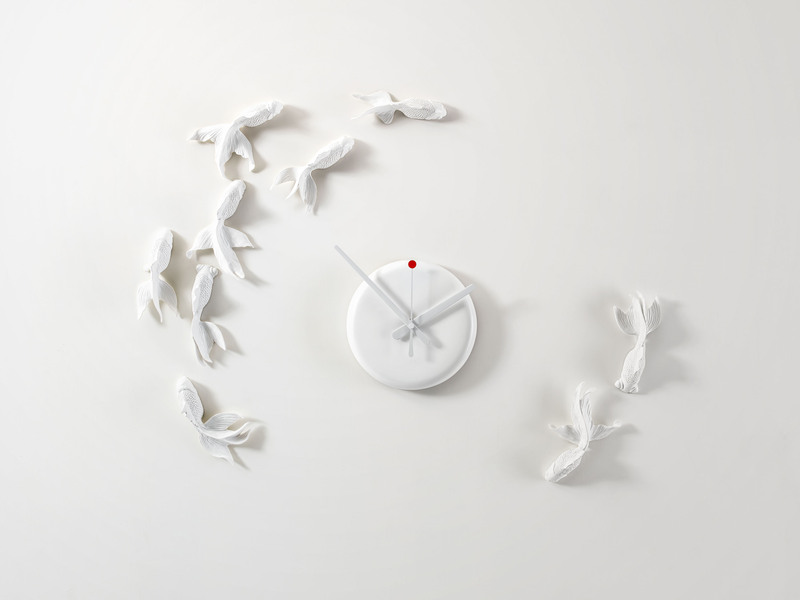 In this case its the Taiwan-based Haoshi Design Studio’s Goldfish Clock. 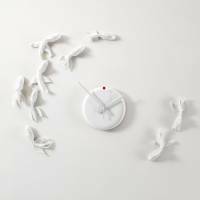 Drawing inspiration from the Asian notion of “9” being a lucky number and the goldfish as a talisman of long-lasting good fortune, this clock is basically a minimalist wall installation of nine white fish, but with a purpose. The beauty is really in the shadows cast by all elements as the day goes by. 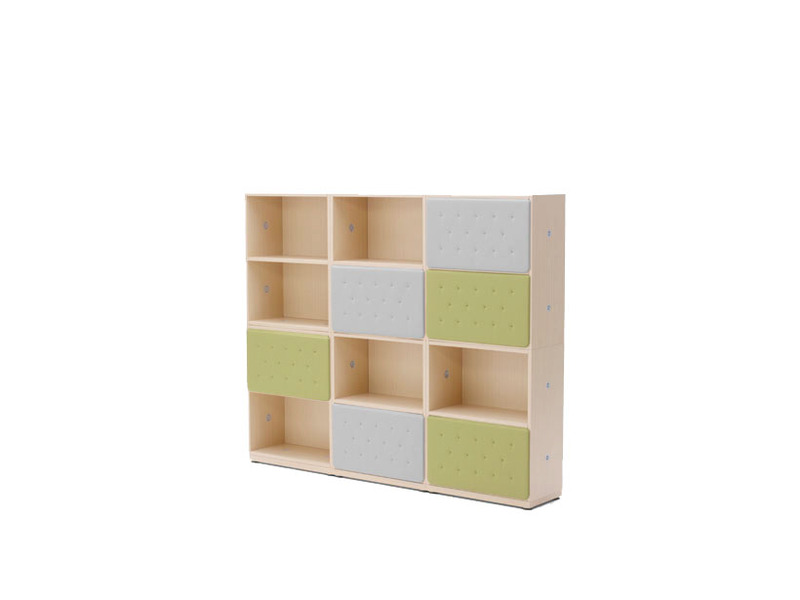 Priced at ¥14,700, it can be ordered online in Japan through Generate Design. Haoshi Design Studio, Generate Design. Follow The Japan Times’s board On: Design on Pinterest.